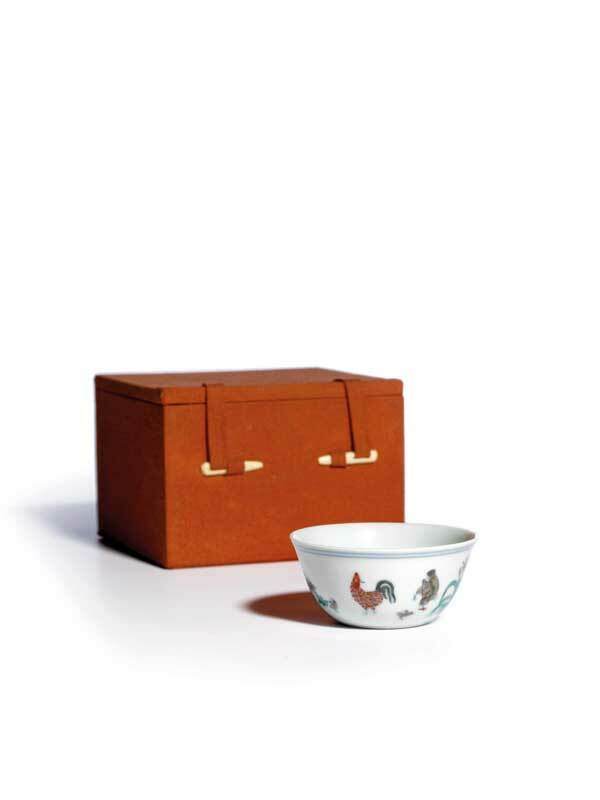 A Chinese Ming dynasty ‘chicken cup’ – one of just 17 known examples in the world – fetched $36 million at Sotheby’s yesterday, making it the most expensive piece of Chinese porcelain ever to be sold at auction. It seems extraordinary that such a tiny and unassuming vessel, with its delicately brushed motif of a rooster, a hen, and their diminutive chicks, could hold such value. But these cups have been held in high esteem – and sold at very high prices – in China for centuries. Today, the piece’s obvious quality is matched by its rarity. Only four such objects remain in private hands. What would it be like to hold such a fragile $36 million? Even on screen it calls out to be touched, but caution and common sense must surely consign it to the display cabinet. The Guardian website is running a video that shows Sotheby’s Nicholas Chow holding the piece at the sale. His hands dwarf the object. It looks paper thin and precarious. Auction records are bandied about in the art world as an indication of an object’s historical and artistic clout. It’s easy to forget that such a confident market relies on fragility. Items such as the ‘chicken cup’ are valuable to us, at least in part, due to the simple fact of their unlikely survival, the nervy knowledge that they could go to smithereens in an instant.